James Pollio - Wolfsohn Accounting and Advisory Services, Inc.Wolfsohn Accounting and Advisory Services, Inc.
Jim brought 25 years of experience in the private sector with him when he joined our firm full time in 1990. He had worked several years with us prior to 1990 as a seasonal tax preparer. While in private, Jim managed both accounting and corporate tax departments and was a division controller for a national food conglomerate. Since joining Wolfsohn as a senior accountant, Jim has supervised the accounting and tax compliance of more than 100 businesses annually. Additionally, Jim has built a significant client base of individual tax returns and specializes in multi-state returns. 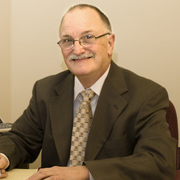 He previously staffed our Suffolk County office for 20 years.